Former head of the Information Branch of the Internal Security Forces Wissam al-Hassan may not have been a secret member of the Resistance, and he was undoubtedly loyal to Saad Hariri, but at the end of the day he knew was the commander of an official security agency. This cannot be said of his Hariri-appointed successor Imad Othman, whose approach runs completely counter to that of Hassan. Othman has no problem acting as if he were leading the armed wing of March 14.Why make such accusations?It is the sudden vigilance that the Information Branch showed by arresting a suspect in the recent kidnapping of two Turkish pilots on the Airport Road in Beirut, and then leaking the news exclusively to the Future newspaper to establish his loyalty beyond a shadow of a doubt. This is the same security branch that decided to take an extended vacation when they should have been pursuing those who fired rockets on Beirut’s Dahiyeh and Baalbeck, and placed bombs on the highway to Damascus. They failed to intercept any communication before or after these attacks as they are often known to do. At the time, the branch complained that its forces were not allowed to operate in places like Dahiyeh and therefore could not conduct a proper investigation, despite the fact that, by the agency’s own admission, the kidnappers of the Turkish pilots were based in Beirut’s southern suburbs. The branch also seems to have nothing to offer when it comes to the events surrounding Ahmad al-Assir and the battle of Abra, in which over a dozen Lebanese soldiers and officers were killed, other than to provide March 14 with evidence that Hezbollah was in fact involved in fighting alongside the army. Nor do they have much to say about the many Syrian armed opposition groups that move freely across the border from Future-dominated areas in Lebanon without interference. Today the Information Branch has settled any questions regarding its loyalties, pursuing crimes based on the identity of the perpetrators and not according to any standards. It is single-mindedly focused on anything that may cause harm to the Resistance and its supporters, especially the kind of information that is provided to Gulf nations that are now expelling Lebanese expats after accusing them of having contacts with Hezbollah. 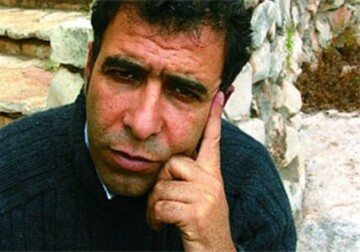 Ibrahim al-Amin is editor-in-chief of Al-Akhbar. لم يكن الراحل وسام الحسن عضواً سرياً في حزب الله، بل ظل حتى اللحظة الاخيرة مساعداً رئيساً لسعد الحريري، وعضواً فاعلاً في مجموعة التعاون الأمنية الداعمة لمعارضي النظام في سوريا. وفي عهده وبإشرافه تم إعداد كل المواد التي استند إليها قرار الاتهام لمقاومين باغتيال الرئيس رفيق الحريري. وهو كان وراء «فخ» ميشال سماحة، إضافة الى عشرات الملفات التي لا تناسب فريق المقاومة وحلفائها. لكن وسام الحسن كان يعرف كيف يدير اللعبة. يعرف أنه في مكان ما، هو رئيس لجهاز أمني رسمي. صحيح أنه لم يكن يتّكل على رئيسه المباشر ولا على رئيسه السياسي ولا على السلطة كلها، إلا أنه كان يعرف كيف يرتب ملفاته بطريقة لا تضبطه متلبساً بالولاء لجهات سياسية. وهو لذلك لم يكن يعترض على قيام جهازه بأعمال أمنية تخص المواطنين في البلاد. وكان كثيرون يلجأون إليه لمعالجة جرائم جنائية أو حتى جنح، وكان يساعد أجهزة التحقيق في أمور كثيرة. حتى في ما خصّ المقاومة، عمد الى إبلاغ حزب الله أن جهازه يشتبه في أن يكون بعض عناصر الحزب على علاقة بالاستخبارات الإسرائيلية. مات وسام الحسن. رفض سعد الحريري إعادة سمير شحادة الى موقعه خلفاً للحسن، وأصرّ على تولّي عماد عثمان المهمة. لم تكن الخطة تشمل خروجاً مبكراً لأشرف ريفي من قيادة قوى الامن الداخلي، لكن واقع الامور لا يشير الى مجيء وزير للداخلية أو مدير عام لقوى الامن الداخلي من الصنف الذي يسحب فرع المعلومات من دويلة سعد الحريري الى دولة لبنان. وهذا ما جعل عثمان يخوض التجربة بخلفية تثبيت الولاء لفريق «المستقبل». وهو منذ وصوله الى منصبه يفعل كل ما هو عكس ما كان يفعله وسام الحسن، علماً بأن عثمان ليس لديه خبرة سياسية أو حتى أمنية من النوع الذي تجعله في موقع مؤثر كالذي احتله الحسن في سنوات قليلة. ومع ذلك، فإن عثمان وجد أنه لا يقدر على التزام أجندة الدولة الرسمية وأجندة تياره السياسي، فاختار أن يكون واضحاً ومباشراً وشفافاً: أنا الذراع الأمنية لفريق 14 آذار، وولائي لمن أتى بي الى هذا الموقع، وهو سعد الحريري. النشاط الذي دبّ في جسد فرع المعلومات خلال الأيام القليلة الماضية أثمر نتائج في تحديد ما قال إنه هوية خاطفي الطيارين التركيين. وبدل أن يكون المشرف على الجهاز حذقاً بأن يسرب المعلومة الى إعلاميين أو وسائل بعيدة ولو بعض الشيء عن الفريق اللصيق به، أبى إلا أن يثبت ولاءه على كل الصعد، فقرر تخصيص جريدة «المستقبل» بمعلوماته الخاصة جداً، وكشف الفرع أنه يقدر على القيام بخطوات عملانية سريعة ومثمرة كما هي الحال في ملف المختطفين التركيين. لكن هذا الفرع قرر أخذ إجازة مفتوحة من مهمة ملاحقي الذين يخططون ويعدّون وينفذون التفجيرات وإطلاق الصواريخ على الضاحية الجنوبية وبعلبك والهرمل وطريق مجدل عنجر. وهو لم يقم بأي خطوة، ولم يضبط أي اتصالات هاتفية قبل الاعمال الإرهابية هذه وبعدها، وهو تذرع بأن الضاحية الجنوبية ممنوعة على عناصره، وهو الذي ينشر فيها شبكات كثيرة، بينما كان في منتهى النشاط في ملاحقة من اتهمهم بالوقوف وراء خطف التركيين، علماً بأنهما موجودان، بحسب ما يقول الفرع، في الضاحية الجنوبية. فرع المعلومات ليس لديه ما يقدمه في ملف أحداث عبرا غير تزويد سياسيي 14 آذار بما جمعه من أدلة تثبت تورط حزب الله في المعركة الى جانب الجيش. وهو لا يقدم أي معلومات ذات قمية جدية تخص بقية هذا الملف، ومتابعة المطلوبين من القضاء بتهمة قتل عناصر الجيش اللبناني. وفرع المعلومات الذي يقدر على مطاردة حتى الحدود الجنوبية للبنان، أو على السواتر الترابية الفاصلة بين لبنان وسوريا، وجد أنه لا يملك معلومات كافية تفيد من يهمه الأمر في مسألة المجموعات السورية المسلحة التي تنطلق الى سوريا من لبنان، ومن خلال قرى وبلدات ومناطق تخضع لنفوذ تيار «المستقبل» الذي يتبع له فرع المعلومات. فرع المعلومات اليوم يحسم الجدل حول هويته كجهاز يعمل وفق أجندة فريق سياسي. هو يلاحق الجرائم وفق هوية المجرم أو الضحية، لا وفق المعايير التي تفرض عليه ملاحقة الجريمة بمعزل عن ضحيتها أو مرتكبها. هو فريق يهتم بكل ما يضرّ المقاومة وجمهور المقاومة، وهو يستنفر كل طاقاته، من الاستعلام البشري والتقني وغير ذلك من آليات العمل، لأجل الإضرار بالمقاومة وجمهورها، بما في ذلك تلك المعلومات المفصلة التي تصل فجأة الى أجهزة استخبارات عربية تقوم بطرد لبنانيين من أراضيها على خلفية علاقة لهم مباشرة أو غير مباشرة مع حزب الله. مشكلة فرع المعلومات اليوم لم تعد محصورة في جدول أعماله الخاص بملاحقة خصوم فريقه السياسي، بل هو تقدم خطوة أكبر نحو تهشيم إضافي لصورة الدولة، من خلال التنازل عن حق الناس في معرفة من يخرب عليهم أمنهم، وهو اليوم لا يتوقف عن تقديم أوراق الاعتماد لأكثر من جهة، لبنانية وغير لبنانية، وليس من بينها على الإطلاق مصلحة الشعب اللبناني! The Lebanese journalist Marcel Ghanem posted a vote on the page of ‘Kalam el-Nass’ talk show program on the Lebanese Broadcasting Corporation (LBC) website, asking: Do you suspect a role of Hezbollah in the security bombings? Even though the question has occupied the Lebanese public, where many believed it was unacceptable and suspicious, but that did not prevent around 30 thousand people to participate in the poll. The audience of the Lebanese Resistance used every means to express his love and solidarity towards it, whether via Whatsapp messages, Facebook pages or Twitter accounts. Do you suspect a role of Hezbollah in security bombings? “This change that has occurred along with the high rate which reached about 85% in favor of the resistance are amazing and express the great will of the people and show that they went on alert themselves and their friends,” Saad added. The assassination of Gen. Wissam al-Hassan has begun to cast it shadow over the workings of the March 14 camp, and particularly within the Future Movement. It has led to heightened security measures for Lebanese Forces (LF) leader Samir Geagea, who ordered more security at his main headquarters and for his entourage. These measures were extended to all leadership figures in the organization whose members feel it was Hassan who played the key role in information-gathering. The Phalange party has long been on the alert. There is a deep-seated feeling that the family of former president Amin Gemayel is under constant threat. The precautions taken by MP Sami Gemayel in particular show the extent of these worries. Although in this case, they do not stem from the same calculations as the LF’s worries, even if the two overlap at times. There is general apprehension among Christian figures in the March 14 coalition. Acting on Geagea’s advice, the prominent leaders among them have taken extra security measures. Geagea focused on what he termed the “pivots and keys” – those important figures who wield electoral clout, or whose absence would weaken March 14 in various other respects. The same approach has been used with other figures. Marwan Hamadeh, the former telecommunications minister, has been persuaded that he is a permanent target, as his elimination would weaken the Druze element that keeps the country in balance thanks to the acrobatics of Walid Jumblatt. The real beefing up of security is within the Future Movement, where the security machine has been mobilized on several fronts. Included are measures to protect the Internal Security Forces (ISF) commander General Ashraf Rifi, Colonel Imad Othman (who replaced Hassan as head of the ISF Information Branch), as well as other ISF and army officers and commanders in Beirut, the north, and the Bekaa. The central concern is for the protection of former prime ministers Fouad Siniora and Saad al-Hariri. The Future Movement’s forward thinkers believe that there would be chaos without Siniora – given his pivotal role as manager and communicator – and that the removal of Hariri would deal a fatal blow to Future and destroy the entire March 14 coalition. Outside Lebanon, a different kind of security effort is underway. It seems that Arab and Western players are assessing the impact of Hassan’s absence on the ISF’s work, and also on the networks of informers active inside the state and political parties. These could be severely compromised, given that Hassan used to provide them with a security umbrella as well as financial support. Most striking in this regard is the spate of personnel transfers and changes that have been quietly taking place. It seems that some of these steps are in accordance with advice Hassan had earlier offered, but was not heeded for reasons related to balances within the Future Movement. Others are moves Hassan had previously blocked, but are now being pushed through in his absence. It has reached the point of absurdity in some cases. Ultimately, there is a different and deeper reason for all this worry, especially among Hariri’s entourage. It has to do with the role they have been playing in Syria. Their involvement in the conflict there broke through all ceilings. The state of delirium that prevailed during Future MP Uqab Saqr’s latest interview on Future TV indicated that these people know that important security players in the region are preparing for the next phase, and that this might make it necessary for dirt that was previously swept under the rug to be cleaned up. Al-Akhbar responds to allegations of distortion and fabrication in its report on the assassination of Wissam al-Hassan. A reporter from the pan-Arab daily al-Sharq al-Awsat has difficulties believing that Israel or al-Qaeda could even be potential suspects in Hassan’s killing. The article was written in response to a report published in Al-Akhbar on 30 October 2012, titled “Wissam al-Hassan: A Man Who Had Many Enemies.” In his article, Rashed accused this reporter of having distorted and fabricated information regarding the suspects in Hassan’s killing. These were the very same suspects Hassan himself feared were planning to assassinate him, as he had reportedly stated in private meetings prior to his death. These suspects included Hezbollah, Syria, Israeli intelligence services, and al-Qaeda. Of course, Rashed decided to ignore the first two possibilities, namely Hezbollah and Syria (both were mentioned in Al-Akhbar’s report). It seems that he was more offended by the possibility that Israel and al-Qaeda could have been considered possible suspects in the assassination. But the question is a ridiculous one, and we thought Rashed would never embarrass himself by asking it. After all, he is a prominent writer in one of the most-widely read mouthpieces of the House of Saud, a standard bearer of pro-Wahhabi liberalism in the Arab world. In addition, he runs the second most frequently watched Arab-language political TV network. Rashed’s question thus takes us back to square one, or to arguing in defense of Wissam Hassan. Indeed, his question reflects claims made by hardliners within Hezbollah and Syria’s camp that Hassan was essentially a tool of the US and Israel. These hardliners maintain that the arrests of Israeli spy rings in Lebanon by the Internal Security Forces (ISF) Information Branch were merely ploys to polish its image. But this is simply not true. The Information Branch dismantled a very large number of Israeli spy networks over the past five years, not only in Lebanon, but also in Syria. There was a time when Rashed could have asked President Bashar al-Assad about this himself, when the Saudi columnist was on very friendly terms with the Syrian president, and would meet with him frequently. At the time, the Information Branch’s successes, along with those of Lebanese army intelligence and Hezbollah’s counterespionage unit, dealt a serious blow to Israeli intelligence services, even though the first few arrests had tipped the enemy off that its methods in Lebanon and Syria had been exposed. The officer in charge of handling human sources in the Israeli military intelligence committed suicide as a result of this major failure, and certainly not because of anything Saudi intelligence did. Speaking of Saudi intelligence, Rashed can also ask its senior leaders about the information gathered so far in the course of the investigation into Hassan’s assassination. He could even ask Bandar bin Sultan while he’s at it, for Bandar – the director general of the Saudi Intelligence Agency – has a long history of carrying out assassinations. In 1985, Bandar’s grudge against the Resistance pushed him to stain his hands with the blood of innocents in Lebanon when he volunteered to finance the attempt on the life of Sayyid Mohammad Hussein Fadlallah. The failed operation killed more than 80 civilians in the Beirut neighborhood of Bir al-Abed. Regarding al-Qaeda’s possible involvement, the director of al-Arabiya can consult his friends at Mohammed bin Zayed Al Nahyan’s intelligence services in Abu Dhabi, which had sent warnings to Hassan at the beginning of this year about a plan to assassinate a senior officer in the ISF. It is not quite clear why Rashed would categorically deny any involvement by al-Qaeda and its affiliates, unless he believes these groups are the legitimate offspring of the Saudi regime. The Emiratis designated a specific area where the assassination would take place, and it happens that this area covers the location where Hassan was assassinated last month. The UAE intelligence services even surprised Hassan by mentioning his secret home, before telling him that their intelligence indicated the plot was going to be carried out by an al-Qaeda affiliated group based in the Ain al-Helweh Palestinian refugee camp. It is not quite clear why Rashed would categorically deny any involvement by al-Qaeda and its affiliates, unless he believes these groups are the legitimate offspring of the Saudi regime. There is no question that Rashed wants to downplay any account that runs contrary to what “His Highness” decided happened. For the sake of Rashed’s credibility, we must draw his attention to what the Director General of the ISF Major General Ashraf Rifi stated in the aftermath of Hassan’s assassination. Rifi, in the eyes of Rashed, is of course not among those trying to spread disinformation about the assassination. Ultimately, what is most bizarre about this is that the man who is accusing us of lying is the director of a television network which, as no doubt he is aware, lacks any credibility. In fact, the words “no one would believe” were the same ones used by Rashed in the course of what he wrote about Al-Akhbar. Recall also that Al-Arabiya published in recent weeks hundreds of fabricated documents, which the television network tried relentlessly to claim were authentic. One of the allegations contained in these forgeries was that the Turkish jet was shot down off the Syrian coast by a Grad rocket. But it seems no one has explained to Rashed and his colleagues at Al-Arabiya, that downing a jet using a Grad rocket is only slightly less plausible than the American Civil War urban legend which claimed that Confederate soldiers fired a rocket from Richmond towards Washington DC – more than 150 km away – and that the rocket went on to reach outer space. The recent March 14 declaration to boycott Mikati’s government was clipped and revised prior to its public reception. Here’s a look at some of the edits, as well as the logic behind them. Differences among the March 14 forces did not blunt the acerbic language used against their opponents on Tuesday night when the alliance declared a boycott of the Mikati government. The statement was initially written by the Lebanese Forces and sent to the opposition leadership shortly before before their meeting in Saad Hariri’s home in Beirut. Reservations voiced by the Lebanese Phalange Party were addressed and quickly incorporated into the text. Future Party leader Fouad Siniora accepted these changes, which in turn led to the revision or removal of four clauses. – The declaration initially included a clause stating that March 14 will boycott the national dialogue roundtable that is currently being organized by President Michel Suleiman. This paragraph was removed to avoid any suggestion that the president will also be boycotted. – The point about the complete boycott of the government, parliament, and the joint legislative committees was changed to state that the boycott is directed at the government, leaving the parliament and committees out. – While the initial text called for firing the heads of the security services for having failed to prevent the assassination of Wissam al-Hassan, the revised version simply demanded that the security forces be reinforced in order to perform more effectively. – The Lebanese Forces’ draft had also called for a government of technocrats without the participation of either March 8 or 14. This was changed to state that the opposition want a neutral national salvation government, which would adopt the “Baabda Declaration” as its ministerial statement. These four changes opened the way for the adoption of the final declaration by consensus while maintaining the core demand calling for the resignation of Prime Minister Najib Mikati’s government. From the day Hassan was killed on October 19, March 14 leaders began proposing several alternatives to the Mikati government. At first they wanted a cabinet to themselves, but soon changed course and suggested that they would be satisfied with a neutral government that would exclude both March 8 and 14. Phalange leader Amin Gemayel, one of the key leaders in the March 14 coalition, put forward the idea of a national salvation government that would include both sides, along the lines of past governments in Lebanon. The key weakness in the opposition’s campaign is the expectation that the prime minister will resign due to pressure they will bring to bear on him. This is at a time when Mikati appears more resolved to stay in power and is less amenable than he was a few days ago to reconcile with his opponents. 1- The opposition’s overblown expectation that Jumblatt would pull out his three ministers from the government after the assassination of Hassan. Although such a move would not have brought down the government, it would have dealt a blow to the ruling coalition, particularly in parliament where Jumblatt MPs can tip the scales in either direction. 2- March 14 leaders are aware of the close ties between Jumblatt and Hassan. 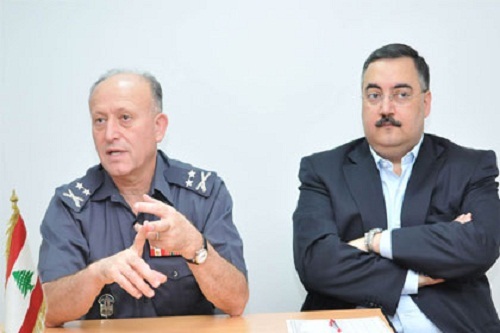 Not only was the head of the information branch of the Internal Security Forces a fixture in the relationship between Hariri and Jumblatt, he was also roundly trusted to obtain sensitive information and provide level-headed analysis. More crucially, the opposition and Jumblatt entrusted Hassan with their security. For example, Hassan would quickly inform Jumblatt of any threats against him or his family, as was the case when Hassan received information that the Druze leader’s son, Timour, was being targeted by the Syrian regime. This protection was enough in the eyes of March 14 to prompt Jumblatt to move quickly after the death of Hassan and turn the tables on the Mikati government without hesitation. 3- March 14 had always expected that Jumblatt would pull out of the government sooner or later, believing that he needed Sunni votes in next year’s parliamentary elections. Therefore, the opposition made no offers to entice him, assuming that his departure from the cabinet was inevitable. When they met in Paris on September 4, Hariri informed Jumblatt about his efforts to reconcile the Saudi king with the Druze leader. Hariri assured him that King Abdullah would receive him as soon as he returned from Morocco. When no such meeting took place, Hariri explained that the king was in Saudi Arabia for three days and was returning to Morocco to continue his vacation. But the king never left, nor was Jumblatt invited to visit. Hariri had wanted Jumblatt to pull out of the Mikati government and ally himself with March 14 in parliament before going to Saudi Arabia, seeing the Druze leader’s audience with the king as a final seal of approval. 4- Before the Hassan assassination and under pressure from the opposition to resign from the government, Jumblatt always expressed concern about the vacuum such a move would leave behind. If the government fell and no alternative was formed to take its place quickly, he predicted destabilization. So Jumblatt’s response in such situations was always to back Mikati and the government. After Hassan’s death, the Druze leader’s concerns were reinforced by the international community, which was not too eager to topple the government for fear that the various Lebanese parties would not agree on a replacement, thus endangering the country’s stability. Jumblatt supports President Suleiman’s efforts to form a national unity government, along the lines of what Gemayel is proposing, with the prior consent of all the main parties. Only Hezbollah opposes the dissolution of the Mikati government, while Speaker of Parliament Nabih Berri has expressed support for the idea of a national unity government. On the other side stand the March 14 forces, demanding that the government resign first, and only then are they willing to discuss alternatives. The opposition is still acting as if it is victorious when in fact they had the upper hand for only a few hours after the Hassan assassination. They threw it all away when they decided to storm the government headquarters. Nicolas Nassif is a political analyst at Al-Akhbar. The fallout from the assassination of Internal Security Forces (ISF) Information Branch chief Wissam al-Hassan nearly two weeks ago was very similar to that following the series of assassinations that has rocked Lebanon since 2005. Syria was blamed immediately, and those who expressed doubt were labeled collaborators. March 14 alluded to Hezbollah’s involvement as well. Lebanese Forces leader Samir Geagea even went as far as accusing Hezbollah directly. Jumping to conclusions prevents honest dialogue. In reality, prior to his death, Hassan felt threatened by more than one party. People who knew Hassan heard him in recent years speak about those he thought wanted to kill him. Some of this information was based on analysis, but some of it was also based on data and facts on the ground. Of course, Hassan had his suspicions regarding Syria’s role in Lebanon. Over the last few months, he became more apprehensive towards Syrian intelligence agencies. He would often mock their structural weaknesses, which became especially obvious following the arrest of former minister Michel Samaha who was indicted for his involvement in “terror plots” in Lebanon on behalf of the Syrian regime. Hassan also never hid his conviction that Hezbollah, along with Syria, was behind the assassination of former prime minister Rafik Hariri, but he was convinced it was the product of a conspiracy within the organization. Hassan believed that Hezbollah Secretary General Hassan Nasrallah and assassinated Hezbollah military commander Imad Mughniyeh did not have prior knowledge of the killing and were not involved in it in any way. This apprehension did not prevent Hassan from cooperating with Hezbollah and even exchanging intelligence on several occasions. While the Information Branch led the crackdown on Israeli spy networks over the last four years, the Resistance provided information that was crucial to their discovery. “The are better than us in human intelligence gathering,” he would say of Hezbollah’s intelligence branch. A few months ago, Hassan told people close to him about meetings he had with Jordanian officials, including the head of Jordanian intelligence, who he met in Germany, and a minister linked to Jordanian intelligence. He said that each of them had relayed information – on separate occasions – about discussions with the Israelis regarding the situation in Lebanon. As a result, both officials told Hassan that the Israelis do not look on him favourably and that he should be careful, even in Europe. Hassan knew that the Israelis were after his neck. On several occasions, he reportedly said that he did not feel safe in Europe anymore. He was aware of the damage done to Israel through the unraveling of its spy networks in Lebanon, starting in 2007 when the Intelligence Branch commenced its counter-intelligence operations. Hassan also received a clear message from the US Congress, which cut back on some of the joint programs between his branch and its American counterparts. On one occasion, several US Senators explicitly informed Hassan that were facing Israeli pressure to stop their assistance to Lebanon. But the clearest message came from the Jordanian intelligence officer he met with almost a year ago and whose warnings he took seriously. Earlier this year, Hassan got another warning. In January 2012, he received a letter from the United Arab Emirates’ intelligence body saying they had credible information that a high ranking officer from the ISF would be targeted with a car bomb in Achrafieh on the road between the ISF headquarters and the officer’s safe house. The information came as a surprise to Hassan, since he believed his safe house in Achrafieh was a secret. Even his closest aides were not informed of its location. He knew that the information from the UAE concerned him personally, the Achrafieh safe house being his own. All he could do was leak the information to the press, to tell those who wanted to assassinate him that their plot had been discovered. Urgent investigations conducted by the Information Branch did not show any suspicious activities in the area. But the precision of the information from the UAE led Hassan to treat it seriously. The information was leaked to the press and treated, as usual, as fodder for internal Lebanese politicking. The Information Branch was accused of fabricating the information to use it to pry communications data from telecom operators. But for the security officers concerned with the investigation, the issue was critical. Hassan did not know who was behind the plot discovered by UAE intelligence. He assumed it was related to Syrian intelligence operations. He remained convinced of this until he met a UAE intelligence official who told him that their information points to al-Qaeda, specifically one of their groups operating out of the Ain al-Helweh Palestinian refugee camp. Wissam al-Hassan knew he had to stay a step ahead of his adversaries, some of whom remained a mystery even to him. He knew his enemies were many and that the last seven years of his life as a top intelligence chief only made him more of a target. What a difference a week can make in the Middle East. On October 19, when a car bomb tore through the upscale Christian neighborhood of Achrafiyeh in Beirut killing a major security official, Lebanon shuddered in fear that the era of political assassinations was back. Politicians and commentators didn’t miss a beat. The murder of Internal Security Forces (ISF) Information Branch head Wissam al-Hassan was compared to the killing of his former boss, ex-PM Rafiq Hariri in 2005. And the Hariri-allied pro-West, anti-Syria, pro-Saudi “March 14” political coalition lined up to deliver a visceral blow to their opponents, just as they had in 2005 when they ejected Syrian troops from Lebanon. Hassan’s body was not yet cold before his political allies started pointing their fingers at Syria and whipping up fury in the anti-Syrian Sunni enclaves of Lebanon. Young men spilled onto the streets with weapons brandished; some with RPGs and even combat uniforms. Clashes ensued, people died, but still their March 14 leaders did not call for calm. 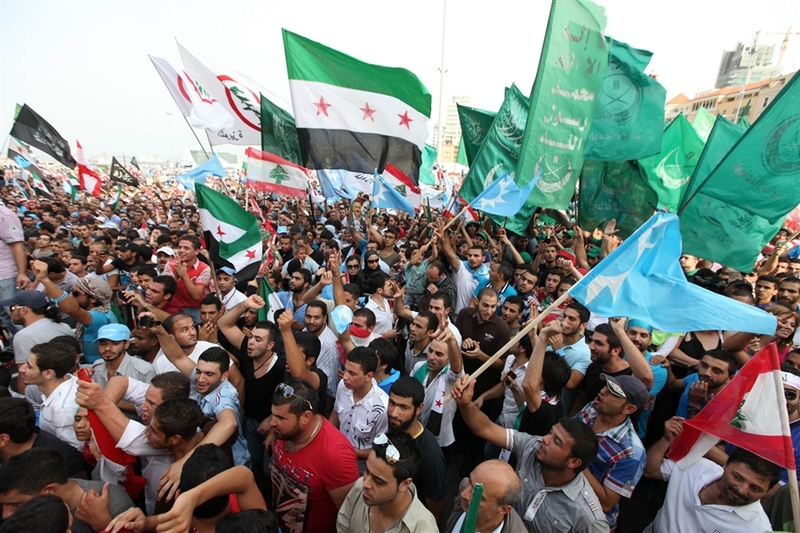 In a replay of 2005 when hundreds of thousands of Lebanese rose up in the State Department-dubbed “Cedar Revolution” to oust the Syrians, March 14 groups on Sunday called for the masses to rally against Syria and its Lebanese government allies. Except that not a single Syrian was ever charged by the international UN-backed tribunal that investigated Hariri’s death. And last week there was no evidence that Syria was implicated in Hassan’s assassination either. But that didn’t stop the political theater at Hassan’s funeral service last Sunday when just a few thousand showed up to participate in what some hoped would be a replay of 2005. There was no comparison whatsoever. Instead of the sea of Lebanese flags, unifying slogans like “Freedom, Sovereignty, Independence” and the dazzling marketing and color-revolution choreography of, respectively, Saatchi & Saatchi and Serbia’s Otpor that marked the 2005 event…the scene at Martyr’s Square in downtown Beirut on Sunday resembled a wake for the March 14 coalition. 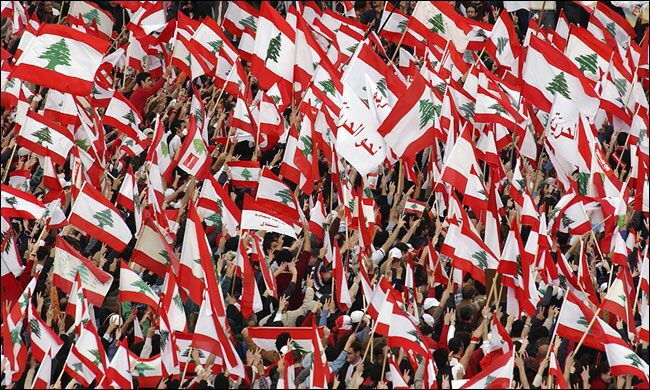 There was barely a Lebanese flag to be seen. Instead, the throngs held up flags of the Future Movement headed by Hariri’s son Saad, right-wing Lebanese Forces Christian militia flags, Saudi flags, the colonial flag of the Syrian opposition and Islamist flags in black. Radical Muslims rallied alongside radical Christians, their one commonality, revulsion for the Syrian government and its allies Iran and Hezbollah. The visible awkwardness of these March 14 alliances was impossible to ignore on Lebanese TV that day. Who failed to note the incongruity of a right-wing Christian Samir Geagea supporter standing next to a Sunni youth sporting an Al Qaeda headband? How can there be a future for a Future Movement so fundamentally at odds within itself, one wondered. The crowds had little in common, their disparate leaders were smug, the mood was nationally divisive – little wonder then that the event ended with sticks and stones and tear gas. Not to mention a pitiful attempt to storm the Grand Serail and eject the Lebanese government headed by Hezbollah ally and billionaire Sunni, Prime Minister Najib Mikati. March 14 has nothing to offer Lebanon – they are morally bankrupt, out of ideas, yesterday’s leaders clawing for relevance as the region changes rapidly around them. Their supporters too are just treading water – this grouping exists only in opposition to something; it stands for nothing. While the bombing had March 14 licking their opportunistic lips, it was their own western allies France, the UK and US (FUKUS) that crushed their political hopes. Without any apparent tactical coordination, FUKUS overrode March 14 publicly, and declared that PM Mikati and his government must stay. What is surprising is March 14’s utter cluelessness about the way those winds were blowing. Not just FUKUS, but all five UN Security Council permanent members and Ban-Ki Moon’s personal representative in Lebanon weighed in on the side of Mikati’s government. Not only was the UNSC speaking with one voice, but the speed and decisiveness of their message also undermined a key March 14-FUKUS refrain. In effect, the global powers were recognizing that the Iran and Hezbollah-backed Lebanese government was integral to guaranteeing the country’s stability at a vulnerable time. No longer could this duo claim that these regional players were acting to destabilize Lebanon. It is perfectly okay to sow sectarian strife in Lebanon, Syria and elsewhere, but not if it means destabilization on several of Israel’s borders. One conflict-struck country is manageable in the Levant, but more than that and things can spread like wildfire. Controlled chaos is fine, but certainly not concurrent with a power vacuum. A powerless Lebanese state will mean loss of control over the critical southern territories along the Israeli border and along the eastern border with Syria – both are hard limits for FUKUS. The FUKUS states have of course realized that at this critical juncture in Syria, they need levers in neighboring Lebanon. They care not a whit about their allies being in power – a compliant government is far less valuable than one with “access.” The governing March 8 coalition is led by a weak and malleable Mikati, but importantly, he is a route to Iran, Syria and Hezbollah – which counts when regional stakes are this high. No matter that Hezbollah has just flown a drone over FUKUS-ally Israel in an embarrassing breach of security for the Jewish state. No matter that Israel has been demanding military strikes against Iran just before a US presidential election. No matter that March 14 have been staunch FUKUS allies in both a local and regional geopolitical context against mutual foes Syria, Iran and Hezbollah. The only thing that counts now is that FUKUS isn’t confident about the outcome in Syria. Syrian President Bashar al-Assad has outlasted all their predictions and opposition forces supported by the west are radicalizing in a direction that makes their mentors uncomfortable. If Islamist militants spin out of control in Syria, FUKUS will need to tame that chaos fast, before it spills into allied Jordan and Israel and further disrupts the Turkish and Lebanese borders. The red lines hurriedly drawn in Lebanon last week have shown regional antagonists some new and unexpected cards. March 14’s diffuse political identity resonates little with the Lebanese, and its interests are diverging from traditional external allies. FUKUS and the UNSC views the Iran, Hezbollah and Syria-backed Lebanese government as a force for stability in the Levant. Western leaders fear loss of control in the Syrian crisis they helped fan. Iran and Hezbollah hold valuable levers for the international community. We may never discover who killed Wissam al-Hassan, but Lebanon last week was full of revelations nonetheless.